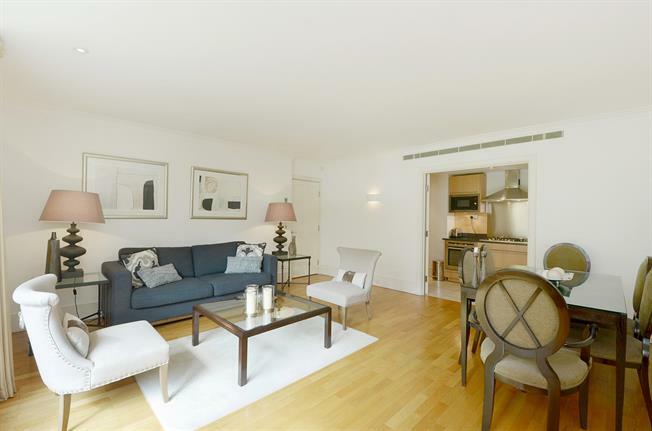 An excellent two bedroom, two bathroom ground floor apartment in this gated development with facilities such as 24 hour concierge, underground parking, gym, swimming pool and communal gardens. With wooden floors through the reception room and hallway, marble in the bathrooms and large windows looking onto beautifully manicured gardens, this apartment is stylish and bright. Contemporary furnishings, walk-in closet and a private parking space help make this the ideal choice for a professional couple looking to live in West London.